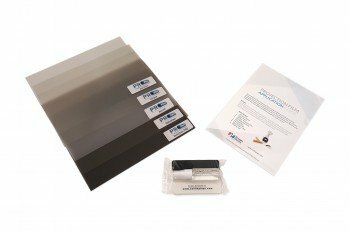 Standard Sample Pack* includes: Accent, Definition, Definition PRO, Intrigue, and Anti-Glare films (8″ x 10″). 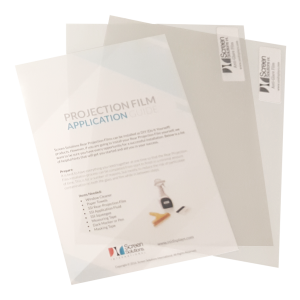 For larger film orders, we recommend you purchase our Application Kits with your sample purchases in order to apply your sample to glass or acrylic with ease. 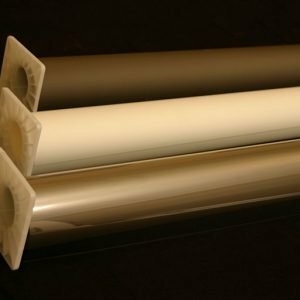 Screen Solutions International is a privately owned business and since 2005 has been manufacturing quality projection surfaces, touch screen technology, touch foil displays and Anti Glare Films. We have warehouse, production and office space located in Rocklin, California, which is a prime location central to the California hub of West Coast industry and innovation. Along with our brand new offices located in Florida to better serve existing clients and build new relationships on the east coast. Our modern facilities are equipped with up-to-date production equipment and follow streamlined and efficient procedures from design and production to shipping of Anti Glare Films. © Copyright 2019. 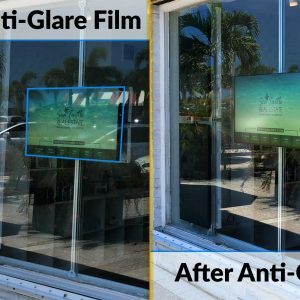 AntiGlareFilms.com. All rights reserved.